On september 1st 2016 a study Group on radicalisation and jihadist extremism was set up in the Government Palace in Rome. 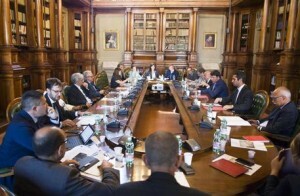 The Study Commission was established at Palazzo Chigi with the task of examining the current state of the radicalization and jihadism extremism in Italy. 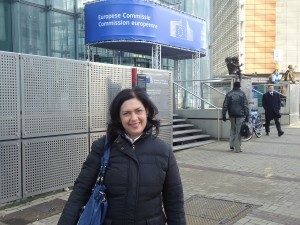 Since 2012 I am a member of the RAN EXIT Group of the European Group created by Commissioner Malmstrom and called Radicalisation Awareness Network. The Group was created by Commissioner Malmström in 2011, following the July 22nd massacre in Utoya in Norway, where 69 Young people were killed . The network consists of 9 groups, from public and civic society that tackle radicalization and recruitment of Young people by different types of violent extremist groups. RAN EXIT is involved with ground work. 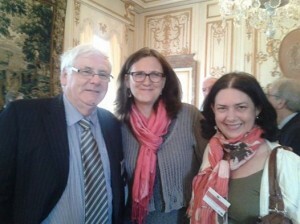 In a convivial moment with European Commissioner Cecilia Malmström and another participant in Bruxelles. Since 2012 I have been following the work of RAN DERAD’s group, now RAN EXIT, that includes practitioners that have experiences with leaving violent and cultic groups. Over the years the Group has been enriched with psychologists, some of whom have also had first hand experiences in extremism and cults.